Excellent release from the W&O stable with Baltra’s soul-drenched vocal adding that extra special something to the distinctive and original sounds generated by 9th House. A quietly haunting and richly atmospheric production, yet impactful in every way as all the notation is thoughtfully placed with heightened emotional resonance in mind. 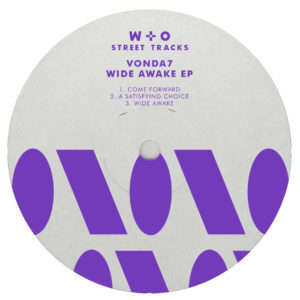 Remixes come from VONDA7 who injects a tougher more resolute rhythm section, and from Nathan Melja whose chiming motifs add equally characteristic qualities to the repeating voices. 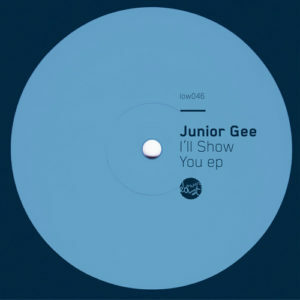 Cozzy D’s Lower East imprint has been pumping out a series of sure-fire numbers this past while and this latest from Junior Gee doesn’t disappoint either. Far from it in fact as these three equally rewarding productions satisfy on many levels. Opening with the title track, ‘I’ll Show You’ which immediately wraps you up in warm bass, reassuring vocals contrasted by a fizzy sprinkle of infectious synth lines – what’s not to love. Next comes, ‘Pick Up’ which aptly applies sizzling hi-hats to the House equation reflecting the dancefloor, leaving the first-rate ‘Half Way Home’ to end on a rousing rush of creative electronics. Great release from Sonora via the impressive talent that is obviously Simone Venanzi. Kicking off with the deep atmosphere’s generated by, ‘In This Space’ which wastes no time in announcing itself fully as pounding beats and rolling basslines all feed your imagination with some well-placed vocal snippets and cutting sound effects doing the rest. Tanner Ross then delivers a hot remix care off bouncing synth lines and shuffling percussion transforming it all into an infectious alternative to the original. ‘Hosting Madness’ follows in a darker vein, again proving to be commanding, forward-thinking music, while ‘Delayed In Time’ completes with an excellent production combining striking sounds together with a soulful, enigmatic punch. And this is precisely what I love about W&O. They throw caution to the wind from time to time and release amazing music just like this from Amtrac. ‘Farewell’ packs more emotional punch than most but also probes at the edges with a forceful groove that sets your heart racing. Not afraid of melody either as this killer combination of hook-line bass and rousing keys says all that needs saying as we reach towards the end of 2016. ‘Renton’ comes a pretty close second with another teasing arrangement of the senses combining perky electronics together with emotive ambience that feels just right any time of year.